Most people in the Java industry don’t know me but there was a time when I was very involved with Java, open source, standardization, and the community. I started working professionally as a Java developer in late 1995 and continued to grow professionally within the Java community until 2004 when I left to become an analyst. Since then I have worked a lot of jobs, a few startups, and done a lot of development but none of it was in Java or involved open source. I’m grateful for everything I discovered during my 14-year hiatus, but sometimes I wish I had never left. In January of this year, I was reaching out to my friends and contacts in the industry asking for advice. I had come to a point in my career when I was simply “in it for the money” and had lost my personal drive and passion for software. It was disturbing because software development had been my life since I graduated in 1994 – a total of 24 years this May – and I had no idea what I would do next. David Blevins and I have been friends for most of my career and I had seen how he had worked hard and was succeeding while maintaining his passion. So I went to him and asked him for advice. We spoke several times over the course of the next couple of weeks as David asked questions and made observations. During that time I realized I had missed one of my best friends. We had worked very closely together on OpenEJB and our wives had bonded, but I left the Java community and he moved to California so we spoke seldom over the years. As David and I became re-acquainted, talking over the phone, email, and video calls, I realized that I yearned for the old days. The time when I was writing books about Java EE, working on Java open source, public speaking, and most of all when I was part of a community I loved with people I admired. I started to think that maybe what I needed was what I once had. A place in a community of passionate developers working in technology that I loved. I asked David if after being away for 14 years, I could become a part of the Java open source community again? Would people remember me? Would they welcome me? Is it still the same as the way I remembered it? His answer to all of these questions was basically, “yes”. He told me that a lot of great people had joined the community and that many of them would be meeting me for the first time, but they would be just as welcoming and inspired as I remember. He was right. David and I decided that if I was going to come back to open source Java, there was no better venue than the company he had founded, Tomitribe. David told me about the other folks in the company, their backgrounds, their accomplishments, and their personalities. I was enchanted. The thought of re-capturing my passion and developing new friends was just too tempting, so in February I became the latest member of the Tomitribe. Everyone at the company is very welcoming and kind and helpful. I couldn’t get over how genuine everyone is. By the time you’ve reached my age, you get a feel for people and you stop wasting time with anyone who is not honest, kind, and forthright. We don’t have to agree and we don’t have to like the same things, but if you are honest and earnest then I will like you and we will get along. Everyone at Tomitribe was exactly that: honest, earnest, and accomplished. 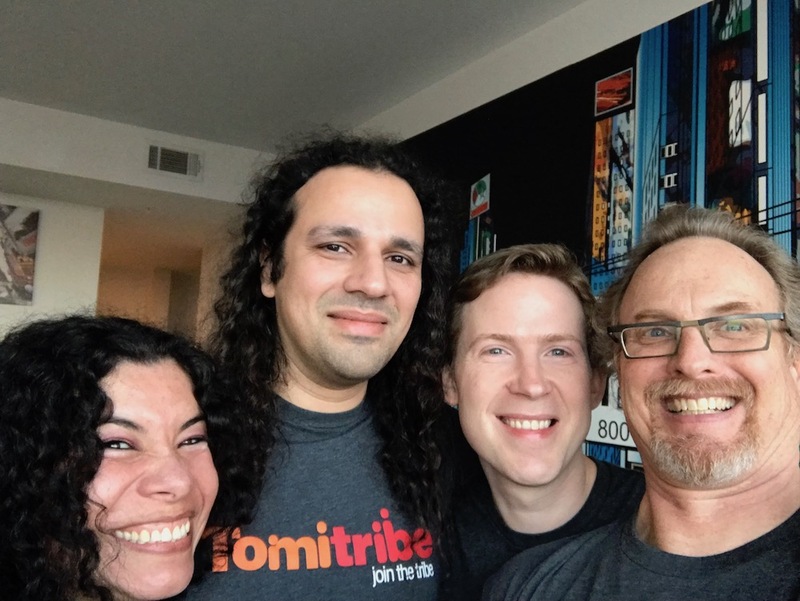 It turned out that Tomitribe is actually very geographically distributed but still a close-knit group in the best possible way. Sometimes when a group is tight, they are cliquish and difficult to penetrate. Not the people at Tomitribe. I find them all to be very interested in the future of the Java open source community, willing to work hard, and very skilled. 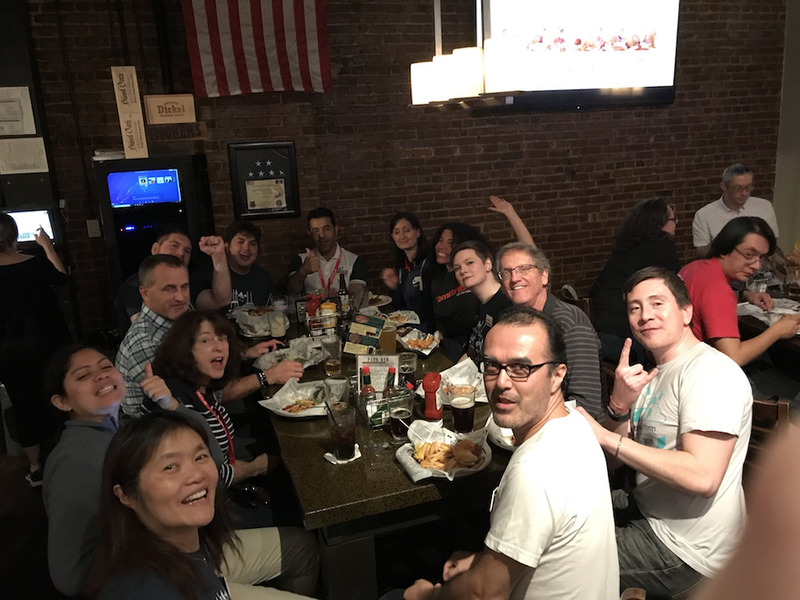 It’s a great group to be a part of and very reflective of much of the Java open source community that I remember and that I’m meeting again. Soon after joining Tomitribe, David and Amelia invited me to attend a popular conference in which many of the most enthusiastic Java open source people would attend, DevNexus in Atlanta. It was short notice but I was really pleased to be invited and excited to start meeting others in the community so I flew to Atlanta for a couple of days and shared an AirBnB with David, Amelia, and Roberto – who is a great guy. It was, bar none, one of the best times I’ve had in my career in software. The conference was first rate. Well organized and well run. Very professional, but do not go looking for suits because you won’t find them. Everyone that I met on my own or that I was introduced to were like the Tribers. They were excited about Java and open source, eager to learn more, happy to meet new people, and interested in doing good work. They also like to have fun! We gathered after the show at a local pub and I had the best time I’ve had in years with a lot of people I had never met before. I’ll always remember the days and nights at DevNexus fondly and I look forward to attending many more conferences and meeting more Java open source people as I settle in for the long haul. Thanks to all the Tribers and everyone I met at DevNexus for making me feel welcome and part of a wonderful community in an exciting time in the history of Java open source. It’s good to be back. Good luck – I believe you have joined a great team. I too am quickly coming to a point in my career where I’m ‘playing the game’ for coins rather than developing with passion. Anyway, I wanted to thank you for this article which is inspiring to me and to also welcome you back to the Java community. I am so glad you found a new ‘home’ and wish you all the best! Hi David, thank you! I wish you all the best as well. Life is short, make it matter!